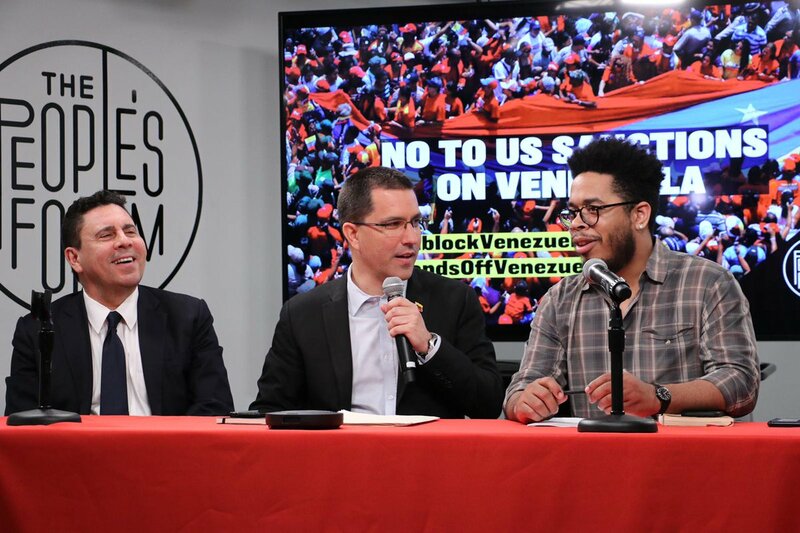 "#Cuba challenges #US to provide proof of #Venezuela charges"
Like Cuba, Venezuela is to start measuring the human cost of the US economic sanctions. A protester interrupts Special Representative for Venezuela Elliott Abrams Elliott Abrams' remarks to the Atlantic Council by yelling and holding a sign reading "No coup in Venezuela -- Code Pink." 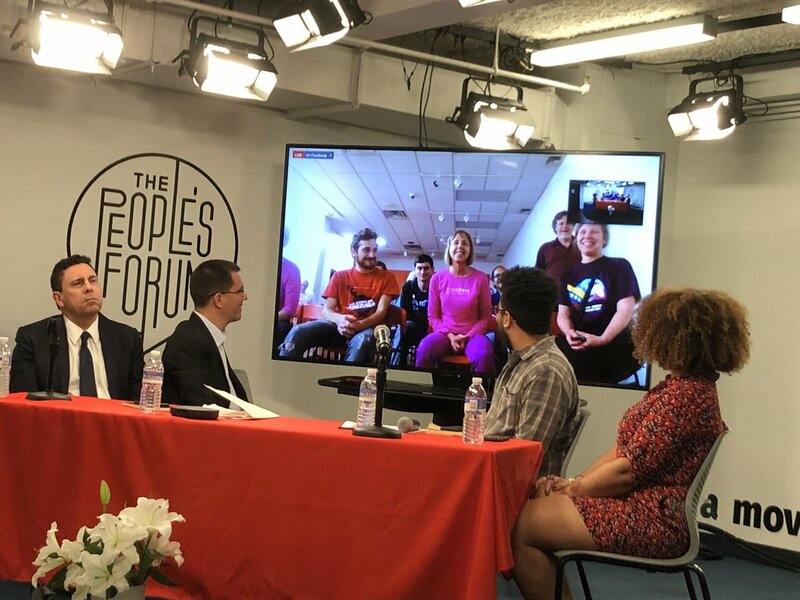 Venezuela's @jaarreaza and @SMoncada_VEN met social movements in the US today at the New York Peoples Forum. They discussed the devastating effects of US sanctions, and were warmly greeted by solidarity activists. 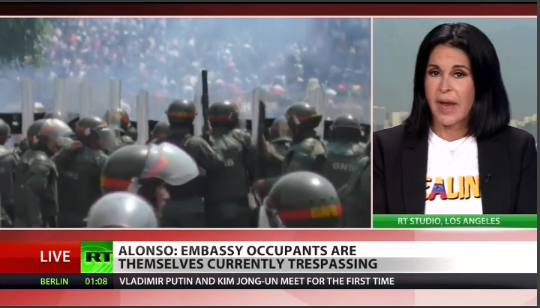 Supporters of the late Venezuelan president, Hugo Chávez, should have a place at the table in a democratic Venezuela, US Special Representative for Venezuela Elliott Abrams said at the Atlantic Council in Washington on April 25.